Antique Allan Herschell carousel rounding board and center lighting grouping in as found condition. At least 12 of each piece. 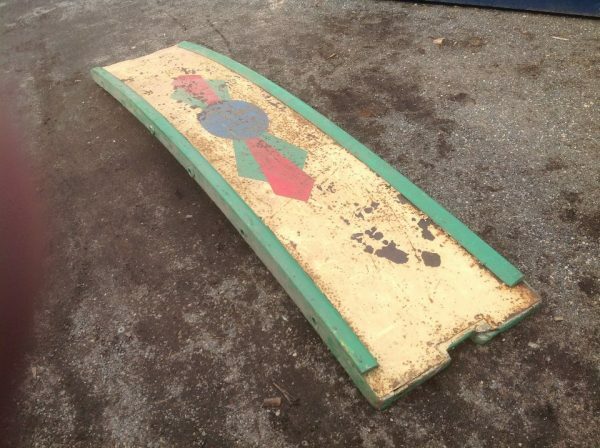 Circa 1950’s. 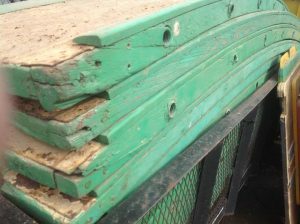 Would like to sell as a group but will consider splitting up for the right price. 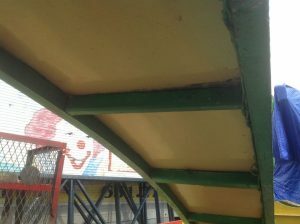 Restoration will be needed but plenty to work with. 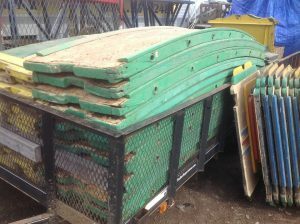 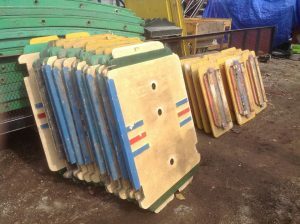 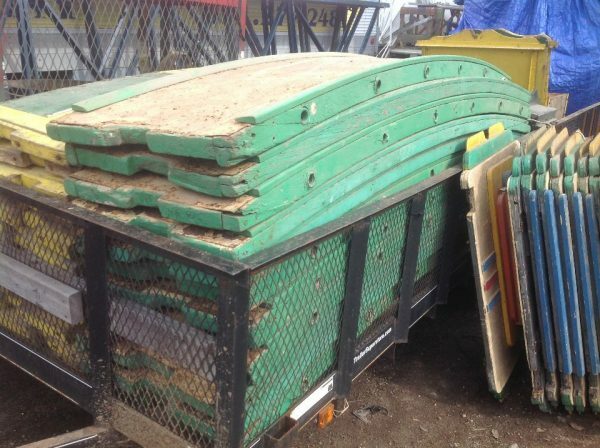 Selling only light green boards and centers leaning against trailer……….